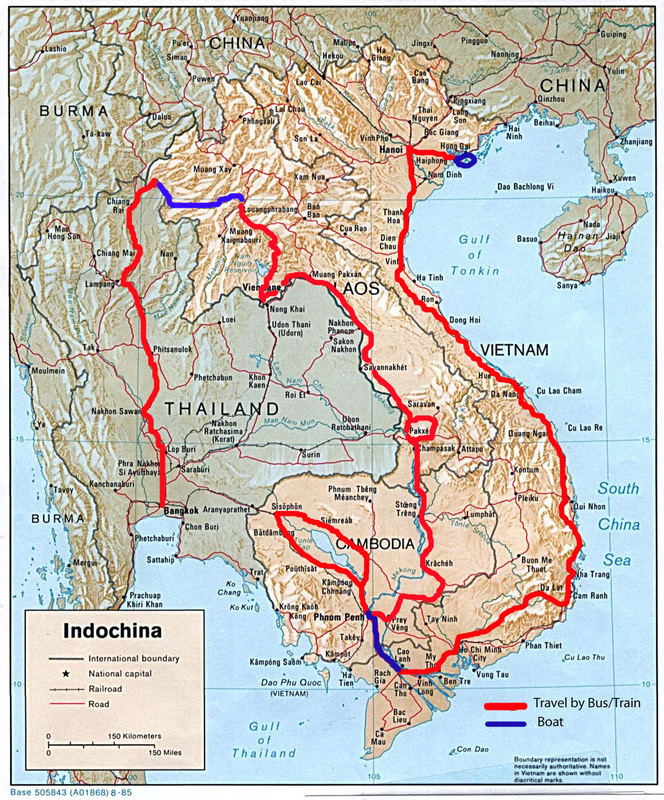 Travels Along the Mekong: One month to go! We are less than a month away and our trip is starting to take shape. We leave LAX for Singapore on Mar 18th and on the way we will be stopping in Tokyo for 2 days and 3 nights. We have not been to Tokyo before (except the airport) and are really looking forward to seeing the city. Best of all is I have a cousin who has lived there for 10+ years. It will be good to see Kevin and glean some local knowledge about the city from him. From Tokyo, we head to Singapore aboard the new A-380 plane. Even though we are "stuck" in coach it will still be cool to take a flight on the newest and biggest Airbus plane. Betsy laughs at how excited I am about this but as someone who gets on an airplane every week I can't help it! We will be in Singapore for a week which seems like a long time but given the fact that we got a great points deal at the Holiday Inn (i.e. free room for little points) and the fact that Tiger Airways only flies to Hanoi, Vietnam 2x week it will be good. I am sure we can keep ourselves busy eating at all the great hawker stalls. Vietnam will be the "real" start of our trip. We should be in Vietnam for about a month working our way north to south. April is shoulder season in Vietnam and actually one of the better months to travel there. It is also said to be one of the "tougher" countries to travel in so we'll see how we do!